Picture of Today 9/19/15, Motorbikings.. 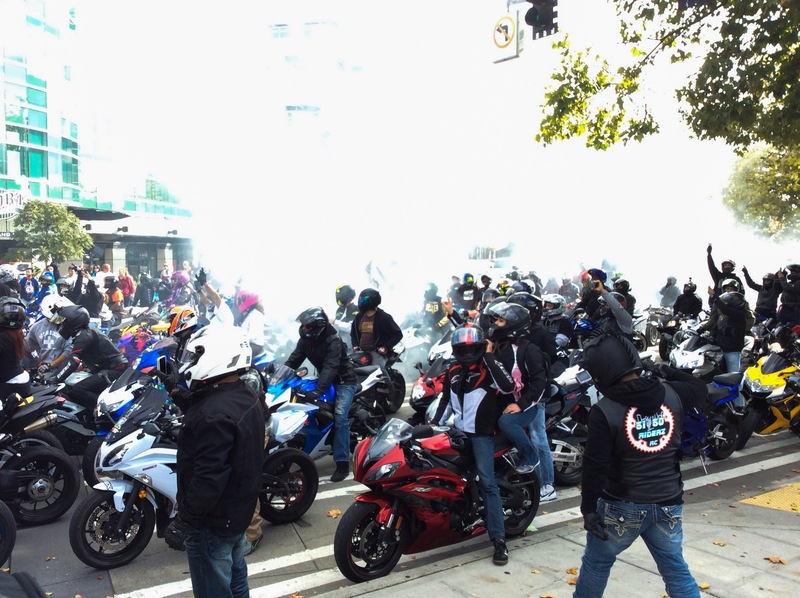 Earlier today by the Seattle Space Needle, a cluster of motorbikes stopped by. I had no idea of their arrival, as I wanted to simply cross the street. Suddenly..countless Kawasakis, Susukis, and other colorful sportbikes covered the way and stopped at the red light. Quick cheers were exchanged, tourists gawked, and I got a few pics. Engines revved up, giving off much smoke and loud noise. After a few minutes, the light for them turned green. 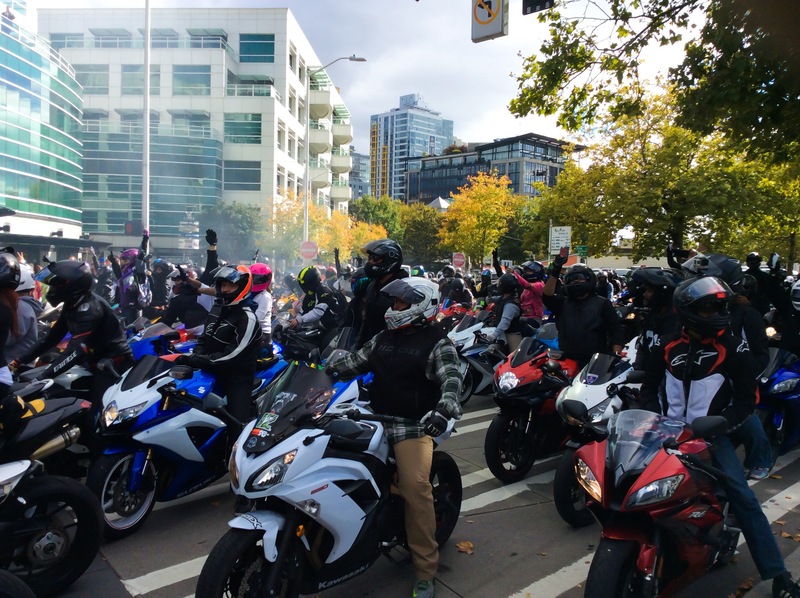 Posted on September 19, 2015 by Orion T.	This entry was posted in Citynature, Saturdays and tagged bikers, motorbikes, motorcycles, Saturdays, Seattle, travel. Bookmark the permalink. ← Picture of Today 9/17/15, Tearing Down Yesterday..